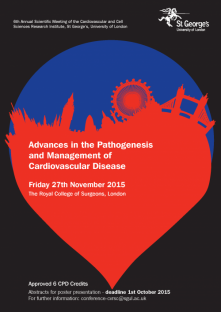 6th Annual Meeting of the Cardiovascular and Cell Sciences Research Institute, St George’s University of London. Cardio Debate had the chance to talk with many of the attendees and speakers, and interviewed a group of outstanding clinicians and scientists from both the UK and Europe. To access the full playlist for this specific event please click here.